In January 2019, Josef Bečvář, Retired General and former Chief of the General Staff of the Armed Forces of the Czech Republic, became president of Glomex Military Supplies - a system integrator and supplier of comprehensive projects and services for armed forces. Glomex Military Supplies (Glomex MS) cooperates on projects in the Czech Republic and abroad, in particular with US manufacturers of high-tech products for which it serves as a system integrator, as well as the marketing, training and service centre for Central and Eastern Europe. Josef Bečvář, as the top manager of the company, is responsible for its strategy and relations with key partners and customers. "As the Chief of the General Staff of the Czech Army, as well as in other responsible positions, General Bečvář proved to be an excellent manager and has an excellent reputation; his long-term work in a military-diplomatic function abroad is very important for us. So, after completing his military career, he got an offer from our company to become president and executive manager of Glomex Military Supplies. Glomex MS considers his arrival an exceptional opportunity to include one of the most experienced Czech military experts in our team. We participate in a number of strategic armament projects in Central Europe and other regions. We consider it important that an experienced senior manager and a prominent personality of the defense community has become the head of the company. That is why we are informing the general public about this step in a transparent manner." 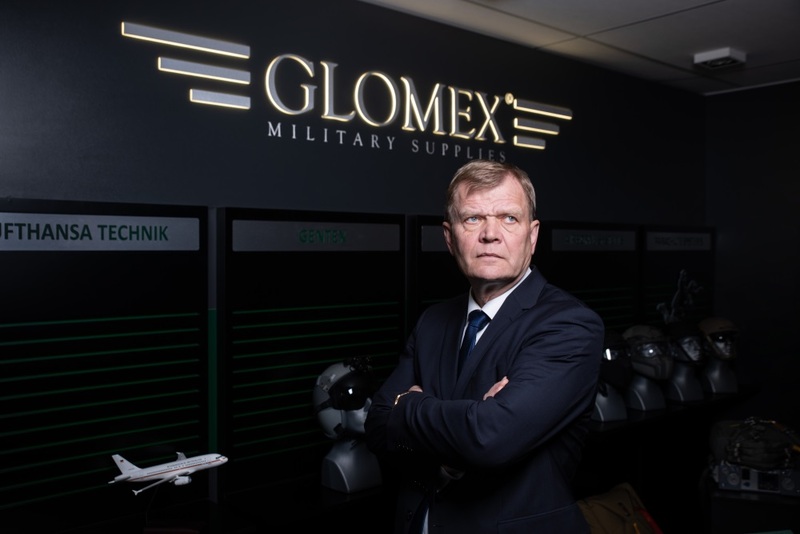 Josef Bečvář, President of Glomex MS, says: "After reaching the peak in my career in the Armed Forces of the Czech Republic, I decided to start my second career as a manager in a private company. Logically, I wanted to operate in the field in which I had worked for decades. I chose Glomex MS because it offered me a full-fledged management position with a comprehensive responsibility for strategy, marketing and work in teams dealing with individual projects. I thank Glomex MS for this opportunity to gain new experience and to work in the private sector. " Another important reason for the decision to accept this offer was the company itself: "Glomex MS is a smaller and younger defense and security company that gives me the opportunity to act as an executive manager and grow professionally. It has been able to gain the trust of leading manufacturers and developers from the US and other NATO countries, and successfully implements projects using their technologies in the Czech Republic and abroad. Given that I have spent a significant part of my military career and education in France, I would like to deepen our cooperation with the French defense industry and look for business opportunities in French-speaking countries as well," says Josef Bečvář. Before taking the post of Chief of the General Staff of the Armed Forces of the Czech Republic, Retired General Josef Bečvář served as First Deputy Chief of Staff of the Armed Forces of the Czech Republic, Chief of the Military Police, as well as the Defense Attaché to France. In combat units, he served in command and staff positions with specialization in artillery and rocket artillery. Glomex Military Supplies (Glomex MS) was founded in 2008 and has gradually developed into a reputable system integrator of projects in the field of special equipment and services for the armed forces in the Czech Republic, which accounts for about two-thirds of its revenues, and also on export markets, especially in Central and Eastern Europe. The share of foreign projects in the company's revenues is growing steadily. All key contracts in the Czech Republic were won by Glomex MS in open tenders under the Public Procurement Act in competition with other bids. Glomex MS is part of the investment group Glomex Invest, a joint stock company whose revenues for the accounting period in 2018 exceeded CZK 300 million. The capital financing comes from the Czech sources only. Glomex MS builds up on history of dozens successful projects for the Ministry of Defence of the Czech Republic, most of them dealing with special equipment for special forces or air force. The company gradually became involved in more complex projects, such as service and maintenance of Czech Air Force aircrafts Airbus 319 and Jak-40 - projects which are currently being realized. Approximately two thirds of company´s revenues come from the Czech projects, the remaining third of revenues is generated on export markets. Glomex MS operates on the markets of Central and Eastern European region such as Hungary, Poland, Romania, Bulgaria, Ukraine and Kazakhstan. The company was established by the Czech founder, owner of the company, well known in the Czech defence community. Retired general Bečvář, assumed the management of Glomex MS as its newly appointed president. The owner currently focuses on management and development of Glomex Invest - the holding company which owns Glomex MS and other companies.